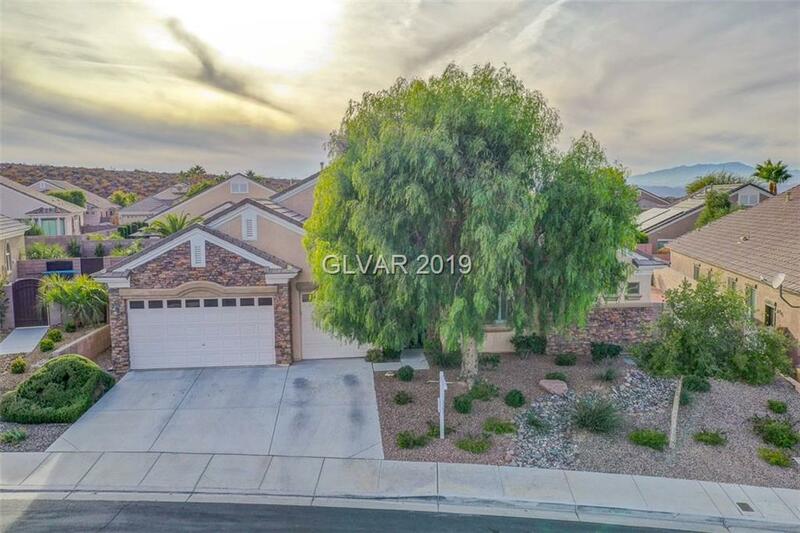 Beautiful one story home in Anthem! Dream kitchen with all SS appliances,oven with sep. cooktop, built in microwave,granite counters, breakfast bar & custom cabinets. HUGE master BR with hardwood floors.Walk through shower & soaking tub. Custom walk in closet. Resort style yard w/sparkling pool, waterfall, slide & spa! Built in BBQ center plus large side yard for kids/dog. Plantation shutters. Just Freshly painted. Tons of value & priced to sell! Directions: Eastern South Stay Left Onto Anthem Parkway, Left On Reunion, Left On Pagani, R On Romanesca, Left On Antienne, Straight To Poetry. Home Is On The Right.